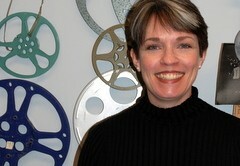 Margie Compton is the Media Archives Archivist at the University of Georgia’s Walter J. Brown Media Archives and Peabody Awards Collection. The archive holds a wealth of important material including several newsfilm and home movie collections and the Peabody Awards Collection, which includes the majority of entries from the beginning of the awards program to the present. I spoke with her about film preservation problems and the challenges facing the field of moving image preservation in the 21st century. According to Compton, newsfilm is important both because it serves as a historical record and because it is fairly rare, as many television networks destroyed newsfilm with the advent of videotape in the 1970s and 1980s. The Walter J. Brown Media Archives is in the process of making its newsfilm collections accessible by digitizing them, breaking digital files down into clips and assigning each clip its own database record, she says. 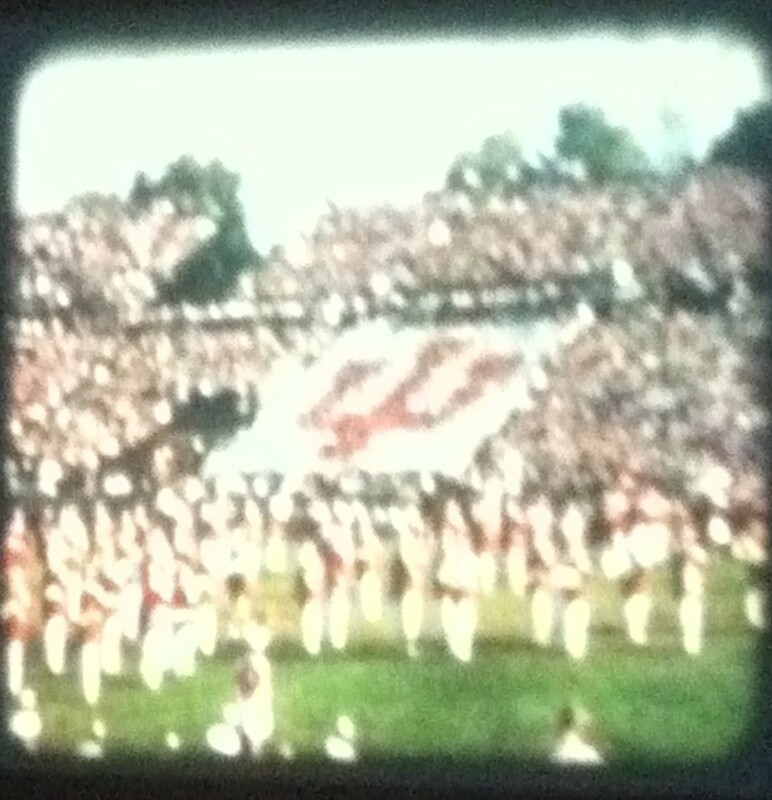 This digitization project is also necessary due to the plethora of preservation problems facing newsfilm collections. Compton describes a few of these: minimal information about content on a film’s container, damaging residue from masking tape, and curling of the film and loss of magnetic soundtrack due to storage on tight “pencil wind” spools. Another preservation problem she mentions, and one that she believes is not often discussed, is the deterioration of “Tenite” film reels. These reels, Compton says, are most often made of grey plastic, are found primarily in home movie collections, and usually hold 8mm, Super8, or 16mm film. As this type of plastic ages, it exudes a white substance that can discolor or otherwise damage film. While some people can handle it without issue, Compton explains that others (herself included) experience problems with their eyes, nose, throat, and lungs despite taking appropriate handling precautions. This type of material also causes financial problems. Compton cites a dilemma: should the archivist risk a physical reaction in order to determine the film’s content, or should s/he make the film a transfer priority and spend money to preserve it without knowing what it contains? Digital technology has also contributed to the decision of many filmmakers to end their production of film stock. Since archives transfer content to new film stock as a form of preservation, this decision has broad implications for moving image archivists. Compton explains this situation with a practical example. If, she says, an archivist needs to preserve an 8mm film, but 16mm film stock is no longer produced as preservation stock, should the archivist blow the film up to 35mm? While it is an excellent long-term preservation and access format, the difference between the 8mm and 35mm gauges means the film is no longer being preserved in the way it was originally shot and viewed. So, she adds, the alternative is to preserve the film digitally, which comes with a new set of challenges. According to Compton, another change awaiting moving image archivists is an increase in home movie research, an area she believes has only recently been recognized as important in film scholarship. She says that, “I don’t believe we have yet seen anywhere near the amount of research home movies will eventually engender. Scholars are looking at large collections of home movies to tease out truths about our modern lives and the fact that so many people captured the same tropes says something about how alike we are, crossing supposed borders of place, space, and time. The ordinary can become extraordinary when examined, and that examination is being done now.” In fact, an article in the Athens Banner-Herald (July 13, 2012) describes a home movie from 1917 in the Walter J. Brown Media Archives collection believed to be the oldest surviving footage of Georgia. Film archivists like Margie Compton are at the forefront of moving image preservation and have the knowledge and skills to preserve history. While digital technology has caused substantial change in the field, the 1917 home movie clip provides a perfect example of how that change can be for the better. When we speak of educational films, what exactly do we mean? For many people, memories of high school science classes come to mind. Or people recall the amusingly awkward acting, dated music and fashion, and cheap production value of instructional films. Above: BBC parody on science films called “Look Around You” tackles sulphur. However, the recently acquired Oregon Collection challenges and broadens our understanding of what constitutes an educational film and how their meanings change when placed in various contexts and settings. Most people today tend to separate educational films from other kinds of film production, notably fiction features and documentaries. Yet, there is a semi-hidden history of film societies placing educational films as a major part of their programming. 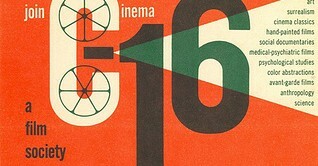 The most famous example was the New York-based film society, Cinema 16 (which operated from 1947-1963). Amos and Marcia Vogel founded Cinema 16 with the hopes of exploring and screening alternative types of cinema, ranging from documentaries to educational films to experimental films. Amos Vogel’s programming sensibility, by juxtaposing many different types of films, showed how thin the line was between documentary and educational films (ethnographic films) or the avant-garde and educational films (the work of Jean Painleve comes to mind). Also, the Vogels hoped that bringing these seemingly disparate groups of films into a single program would transform the way their audience saw the art of cinema. One could, they believed, approach educational films from an aesthetic perspective, as well as approach narrative fiction cinema from an educational perspective. Many of the films in the Oregon collection would have been perfect for a program at Cinema 16. A majority of the films in the Oregon collection were produced after Cinema 16’s demise, but the collection as a whole suggests a rich hidden history of the life of educational films outside of the traditional classroom setting. Film as a Subversive Art from Paul Cronin on Vimeo.